Overall comment: Delicious & fresh non-halal dim sum that will satisfy your dim sum craving! It's been awhile since I last had some good dim sum, especially authentic dim sum without the fanciful 'fusion' taste. 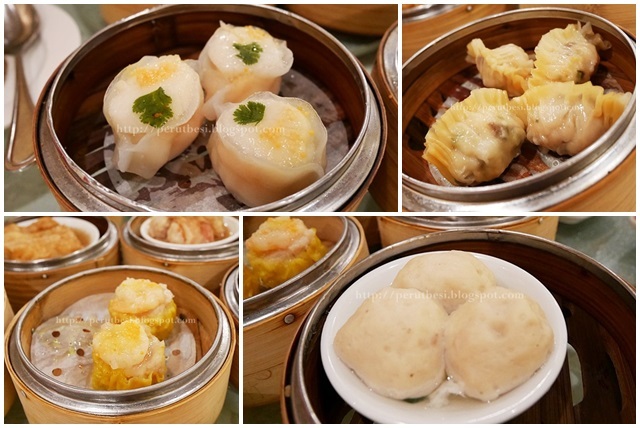 Thanks to Concorde Hotel Kuala Lumpur, I was taken on a scrumptious journey to rediscover the heart of dim sum in the heart of the busy city of Kuala Lumpur. Xin Cuisine has been an established restaurant for good dim sum. Pretty much any old timers & dim sum lovers would recommend this place for a meal that wouldn't disappoint. I rarely drive down to KL as I live at the other end of the world, but for Xin Cuisine, any time! 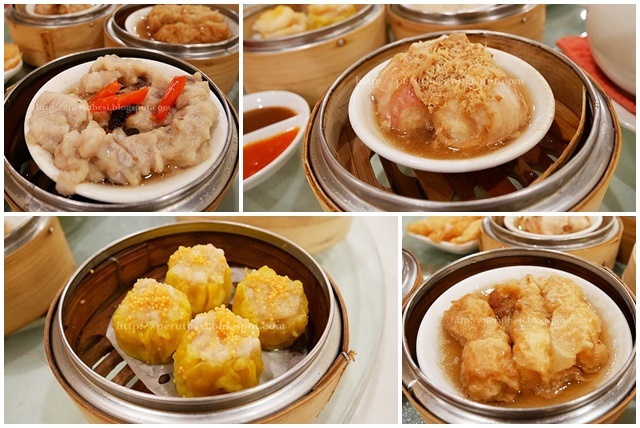 Xin Cuisine serves a medley of dim sum for lunch everyday & for breakfast as well on weekends. 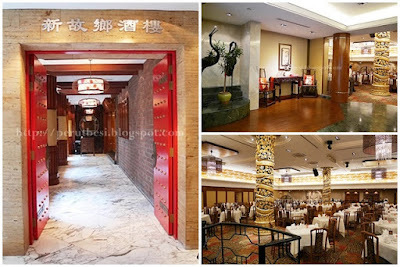 You'll find the spacious area of the restaurant buzzing with activities, especially on weekends (I was there during a weekend), from pushcarts going around serving dim sum to happy chatters of patrons enjoying a good time with their family & friends over some choice dim sum (prices ranging from RM7.50nett - RM22.00nett per dish). I'm really excited to share with you some of my favorites below! Here we go...! Yes, you saw it right! 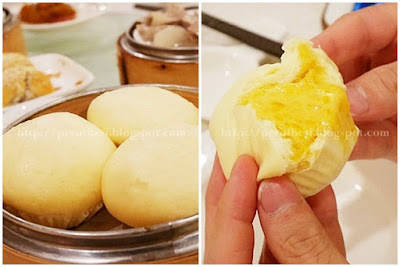 It's tender yet still has the elasticity of a stomach & is extremely delicious with a balanced flavors of white radish & pepper corns (pepperish enough! ), just like the traditional pork belly/pig's stomach soup! Sensational! It's to no surprise that we didn't stop at the 1st basket of this exceptional dish! Who would give this a miss?? Juicy, tender barbecued meats bursting in flavor - yum yum! It was my 1st time tasting such a dish (we had the vegetarian version) & I must say that it's incredibly good! I rarely praise vegetarian food as most of it taste similar; it's all just flour & have similar textures. But this was different; the texture of the vegetarian chicken was crispy & chewy, & each piece was well-coated with the sweet, slightly acidic & gingerish taste of the pickled ginger. Highly recommended! It'll take me loads of time to slowly describe each dish as each dim sum was unique, fresh & plump, satisfying to my taste buds. 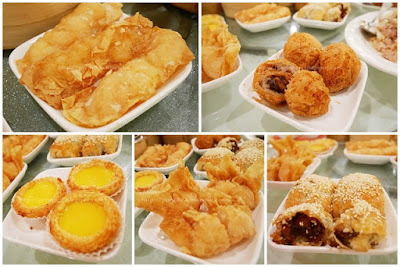 You can rest assure that you'll not come across anything that will disappoint you to the point where you won't want to return to Xin Cuisine, so just order your favorites (and those that I've recommended!) & enjoy! My 1st thought of this dish was "Wow, what a colorful chilled aloe vera dessert!" Interesting flavors as you'll get a bite into some sweet bits & sourish bits that creates a harmonious melody in your mouth. I enjoyed this herbal jelly without a doubt although it may be too pungent with Chinese herbs alike the Chinese "patt chan" (8 herbs) drink. It's bitter-sweet (from the syrup), but I love the fact that it had licorice root in the herbal jelly, giving it a different aroma. I'm not a fan of almond-products (I only like almond nuts as it is), so this still feels strange to me. The texture is smooth & it's not overly sweet, but the smell of the 'almond' just feels weird to me...heh. I like the colorful presentation. Mon-Fri: 11:30am – 2:30p.m./ 6:30p.m. -11:00p.m. Saturday: 11:00am – 2:30p.m./ 6:30p.m. -11:00p.m. Sun & Public Holidays: 9:00a.m. – 2:30p.m./ 6:30p.m. -11:00p.m.